I received phone calls from individuals distressed and concerned about emails and faxes claiming to be from collection agents or prosecutors threatening arrest. They also provide a pdf of a phony arrest warrant if payment is not made immediately. 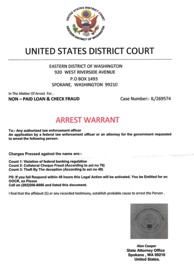 The phony arrest warrant even uses a bogus logo. Do not fall for this trick! If you do receive a fake arrest warrant consider contacting the FBI or the district U.S. Marshals Office to report it. This blog post contains general information regarding public news, matters, and developments in the law. None of the information contained on this blog post is intended as legal advice or opinion relative to specific matters, facts, situations, or issues. Additional facts and information or future developments may affect the subjects addressed and no guarantee is given that the information provided in this blog post is correct, complete, and up-to-date. 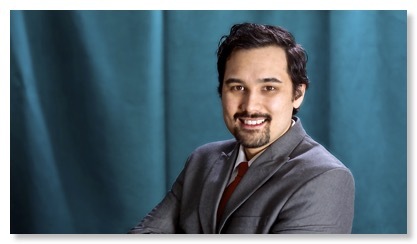 Consult with an attorney before acting or relying upon any information contained in this blog post.